Google Plus Guide | What Is Google+? Google has officially entered the social media ring. 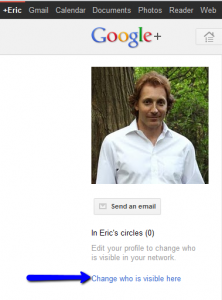 There has been a lot of buzz about Google Plus, and what it means for the web. Google Plus hasn’t officially launched to the public, but as of this posting you can get an invite here. During this pre-launch, beta phase not everyone can access Google Plus. 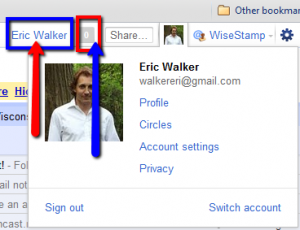 If you know someone who is already on Google Plus, you can request that they send you an invite. Each user has 150 invites. If you leave a comment expressing your request for an invite, I will send you one. I have a Google Plus profile (and loving the new platform), and I have 150 invites to send. Google+ does have plans to create extensions within Google+ primarily for businesses, but for starters it’s primarily for the average user. Nonetheless, thousands of marketers and entrepreneurs have already started using Google+ to further their outreach, connect with their target audience and develop relationships with new partners and networking opportunities. Visit http://plus.google.com , or if you are logged into your Gmail account, you’ll see the option to connect at the top left corner. You can also access Google Plus through the menu items on the top right hand of your Gmail account. Whenever you receive a new alert, similar to a “Facebook Notification,” the notification box will appear in red, along with the number of updates that have taken place. In the picture above, the blue arrow is pointing to notifications. I have no notifications. This makes it exceptionally easy for you to stay on top of new alerts and updates, right from your Gmail account. It’s similar to notifications inside of Facebook. You will find the number of people who have added you into circles on the left hand side of your profile’s main page, with the people you’ve chosen to add in circles below that. You can decide to allow everyone who visits your profile page to see the number of people you have in circles, as well as who has added you – or you can choose to block visibility. Click on the “Edit” link from the main page of your profile or click “Change who is visible here” underneath your profile picture on the right hand side. When you do this, an option table will appear, and you will have the choice to display the people who are in your circles. Likewise, you will have the choice to display who have added you into circles. You can now choose to allow anyone on the web to see the people in your circles, or choose to allow only people within your circles to be able to see it. For now, I’ve chosen to hide both the circles I’m in as well as the people who are in my circles because I want there to be no focus on numbers, followers, etc. which is a plague of social media and discourages relationships. When you’re all done customizing your profile visibility and options , simply click “Finished Editing” at the top of your profile page. Leave a comment below if you’d like a Google Plus invitation. I would like an invite to Google Plus. Thank you for sharing this information and the other tips you offer. I would like an invite to Google Plus. Thank you for sharing this information. I would like to have an invite, please. Thank you for providing this information for us! I would love an invite! Thanks in advance!! Sent. Let me know if you didn’t get it. Can I have a google plus invite? Thanks. Sent. Let me know if you didn’t receive it. I’m 84 years young and am finding it somewhat of a struggle ot understand how to set up and make use of technology that is changing so quickly. Your series on Google+ is fascinating, to say the least, and I would like to request an invite, please? Keep using the social platforms. It’s okay to try all of them, set a time to focus on one. Could I please be sent a Google Plus Invite? Ann, Please invite me to Google Plus. Thanks. Could you send me an invite to Google Plus. I’ll appreciated it. Don’t know what I’m getting into! Only yesterday I opened a gmail account. Only yesterday I started my profile. But Google Plus sound interesting! I would like an invite to Goggle Plus, please. Google Plus no longer requires an invite. Go to https://plus.google.com/ to start your profile.